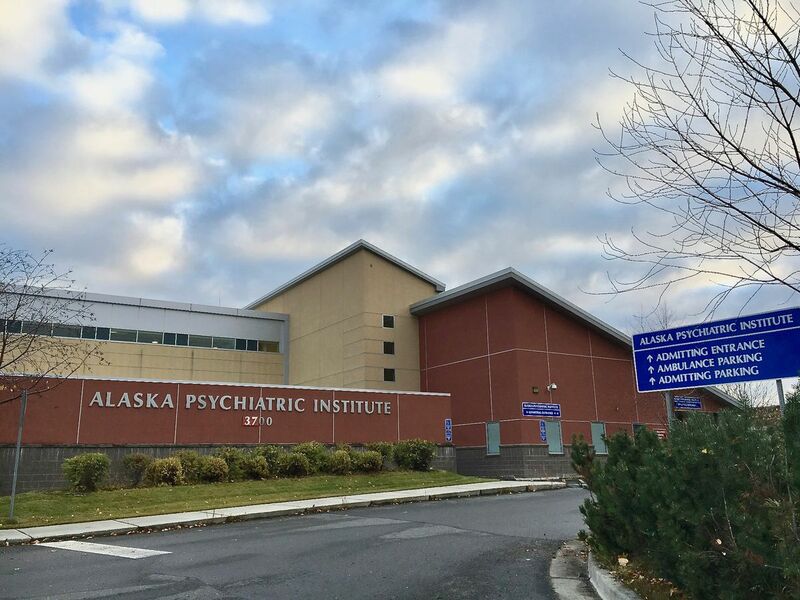 Two psychiatrists at the Alaska Psychiatric Institute, including the hospital’s chief of psychiatry, have been fired by the administration of Alaska Gov. Mike Dunleavy after refusing to sign letters of resignation as part of the transition process from Gov. Bill Walker’s administration. Their departure from the hospital brings new trouble to Alaska’s only state-run psychiatric hospital, which has struggled to meet demand for mental health treatment in Alaska. Last year, as Anchorage-area emergency rooms filled with psychiatric patients, a report by Anchorage attorney Bill Evans found that API was so overwhelmed that it was creating a dangerous situation for staff. After the report’s publication, three officials — including the head of the hospital — resigned. Now, Dr. Anthony Blanford, the chief psychiatrist at the institution, and Dr. John Bellville, a psychiatrist, have left the institution. Their departures may have a significant effect on the hospital’s operations. In July, the hospital was placed under a “plan of correction” by Medicaid. Federal officials said at the time that if the hospital didn’t improve, it risked losing its ability to accept Medicaid funding. Asked whether their departures will hurt efforts to improve the hospital’s situation, Evans said that he believes so. “It’s certainly not going to help, and I think Blanford is — he was maybe the key figure there in helping turn things around,” he said. Blanford said the hospital met the federal government’s plan on Nov. 30. “It was to me a little bit of a miracle,” he said. Though the hospital was cleared by the Centers for Medicaid Services, it remains under a state-level review. Hundreds of at-will state employees were asked to sign letters of resignation as part of the normal transition process between governors. The Dunleavy administration appears to have requested more than recent transitions, but the act itself is not unusual. Speaking at a news conference Wednesday, Dunleavy said most state employees filled out their resignation notices. According to a list provided in mid-November to the Daily News, about 800 employees were asked to submit letters of resignation. Blanford said the problem wasn’t the resignation request itself, but its meaning. He referred to a comment made by Dunleavy chief of staff Tuckerman Babcock to the Daily News in mid-November. “We have an ethical responsibility to not align ourselves with any political cause or ideology, and I’m not going to do that,” Blanford said. He wrote a letter to the editor in the Daily News saying as much. Other doctors at API chose to proceed differently: Four psychiatric practitioners remain on duty at the hospital. While the resignation request may have prompted the departure of the two doctors, they said other factors encouraged them to leave. Not least is the hospital’s chronic under-staffing, they said. After they received their notices, the two doctors said they had an extended meeting with Duane Mayes, the hospital’s administrator, and Crum, the new commissioner. In that meeting, they were asked to reapply for their old jobs. They, in turn, asked if the new administration was willing to provide the 80-100 new staff members that they believe are needed to meet the demand for mental health services. They said they didn’t like the answer they got. “There are not enough resources in the community to handle all of the things, and API is taking the blame,” Blanford said. The doctors' departure is likely to exacerbate the situation. Initially, the plan after their departure was to reduce the number of patients the hospital was accepting, said Dr. Lee Ann Gee Jenks, a psychiatrist at API. That has changed, she said. Now, psychiatric providers will simply be required to care for more patients, she said. That has increased safety concerns for staff, said Alaska State Employees Association executive director Jake Metcalfe. The union represents some employees at API. One staff member was injured in a weekend incident before the resignations, he said. Speaking to the Daily News by phone, he said he was scheduled to meet with hospital administrators Thursday afternoon. “Our concern is our members’ safety, and it just has been an unsafe workplace for years, and our members are tired of getting hurt. They want the institution to run well, and they want good services for the patients,” Metcalfe said.